The story of the life of Alys of France is sad and more than a little bizarre. At a young age she was contracted to marry Richard the Lionheart and sent to England to be brought up at the court of King Henry II. As you can imagine, living among this contentious family, her life took a very curious turn. The matter of her marriage was deliberated for many years with Henry II, John and Richard mentioned variously as her groom. When she didn’t marry Richard, the subject created a poisonous atmosphere in relations between Richard and her brother King Philip II of France. Alys was born on October 4, 1160. Her name is given with various spellings: Alix, Alice, Adèle, Adelaide and Alais. She was the daughter of King Louis VII of France and the half-sister of Marie and Alix by her father’s first wife Eleanor of Aquitaine. Alys’ mother was Louis’ second wife Constance of Castile who died shortly after she was born. About five weeks later, Louis was married a third time to Adèle of Champagne. Not much is known of Alys’ childhood but she was probably given an education worthy of her rank. On January 6, 1169, Louis VII and Henry II of England ratified the Treaty of Montmirail. The terms included the betrothal of Alys to Henry’s son Richard. Her dowry included the county of Berry which lay between the borders of Touraine and Aquitaine as well as the county of Aumale and county of Eu. After the ratification, Alys’ wardship was formally given over to Henry. The arrangement was for Alys to be brought up in Richard’s lands in Aquitaine but Henry took her to England where her care was supervised by Eleanor. Alys’ sister Marguerite was married to Henry the Young King, oldest son of King Henry and Eleanor in August of 1172. In the spring of 1174, skirmishes broke out in Anjou and Poitou in France and Henry was forced to oversee the fighting. His plan was to travel to Normandy. Henry went to Poitiers first where Eleanor of Aquitaine was holding her own court and he dismissed all his wife’s servants. He took with him to Normandy his daughter Joanna, Marguerite and Alys of France, Emma of Anjou, Constance of Brittany and Alice of Maurienne. On July 8, 1174, he sailed to England with all these women plus his wife Eleanor. It was a very stormy and rough crossing but they managed to arrive at Southampton. 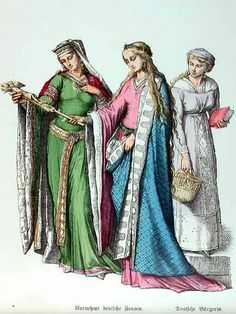 Alys, Marguerite and Constance of Brittany were all sent for safekeeping to the castle of Devizes. In 1175, Henry began inquiries into seeking an annulment of his marriage to Eleanor. It was rumored he was interested in marrying Alys in an effort to improve relations between England and France. When Henry’s mistress Rosamund Clifford died sometime in 1176 or 1177, Henry began an affair with Alys. Several chroniclers confirm this. King Louis probably heard these rumors, perhaps from Alys’ sister Marguerite. Louis immediately appealed to the Pope, asking that the marriage of Alys and Richard be performed as soon as possible. If the marriage was not celebrated, Louis asked the Pope to put Henry and his kingdoms under interdict. At the same time the pope rejected Henry’s plea for an annulment of his marriage to Eleanor, and informed Henry he was sending a papal legate to England to enforce Alys’ marriage or lay interdict on Henry’s lands. In August of 1177, Henry traveled to France and met with Louis. He made vague promises to Louis that as soon as legal matters regarding the transfer of Alys’ dowry were concluded, she would be married to Richard. Louis was placated and the two kings left on good terms. After this, Henry kept his relationship to Alys out of the public spotlight. But they were still together and there is some evidence Alys may have born one or two children by Henry. Richard kept out of the dispute over Alys but he may have been angry. It wasn’t possible for him to marry her now as the relationship would have been considered incestuous. Henry the Young King died June 11, 1183. Alys’ sister Marguerite returned to France and the Norman Vexin and Gisors was transferred to Alys’ dowry. Alys was being kept under guard at Winchester. Her brother Philip was now king of France and he was insisting Alys marry Richard. Henry was not interested in an alliance between Richard and Philip which might be used against him. Henry and Philip met in December 1183 and discussed Alys’ situation. Henry stated if she was not married to Richard immediately she could be married to Richard’s brother John. This alarmed Richard as he believed Henry would make John his heir instead of himself. Her marriage continued to be debated as Philip, Henry and Richard fought over various entities in France, including her dower lands, up until Henry’s death July 6, 1189. At that point, Alys was in the custody of Eleanor of Aquitaine and kept in close confinement at Winchester. She was twenty-nine and her status was still unsettled. Eleanor had no intention of marrying her to Richard. In February 1190, Eleanor sailed for Normandy to join Richard, taking Alys with her. Alys was put under guard in Rouen, virtually a prisoner. At this point, Richard needed to marry Alys or tell her brother he could not marry her. Richard and Eleanor were seeking an alliance with the kingdom of Navarre in an effort to secure their southern provinces while Richard went on Crusade. King Sancho VI of Navarre had a daughter of marriageable age named Berengaria. Richard concluded the alliance with Navarre and ordered his mother to fetch Berengaria and bring her to him on Crusade. Richard was in an impossible position. He either had to humiliate and anger King Philip of France by not marrying his sister or marry the woman who had been defiled by his hated father. While on Crusade with Philip, Richard revealed he was unable to marry Alys. When Richard told Philip about Alys’ liaison with his father, Philip refused to believe it and accused Richard of making excuses for not marrying her. Richard threatened to produce witnesses and Philip eventually capitulated. The failure of the marriage was a bitter humiliation for Philip and his relationship with Richard was strained from that point on. Richard paid Philip ten thousand marks as compensation for not honoring his agreement to the marriage. Richard married Berengaria on May 12, 1191. In 1192, Philip again promised Alys to Richard’s brother John. When Richard was captured on the return home from Crusade by the German emperor and imprisoned, John asked to marry Alys once again. But this marriage never materialized. In 1193, Philip attacked the Norman Vexin and Normandy. He arrived at Rouen and demanded to see his sister. The English seneschal, who answered to Eleanor of Aquitaine, refused. He offered to let Philip visit Alys but Philip believed it to be a trap and withdrew back to Paris. He returned again in 1194 in hopes of seizing Rouen and liberating Alys but he was unsuccessful. In August of 1195, Richard finally relented and allowed Alys to be returned to her brother. She was quickly married to William IV Talvas, Count of Ponthieu. Her dowry included the country of Eu, the county of Arques and a loan of five thousand marks. He was eighteen years younger than her. Philip arranged the marriage in the hopes that the couple would be childless, allowing him to eventually gain control of the small but strategically crucial county. But it didn’t work out as Philip had planned. Alys gave birth to a daughter Marie in April of 1199 who survived childhood. It is possible she gave birth to another daughter named Isabelle and a still born son named Jean. The rest of her life was spent in relative peace. The exact date of Alys’ death is unknown with possible dates being 1213 or 1220. Alys’ husband William died in 1221 and Marie was his heir. It is interesting to note that Marie was the maternal grandmother of Eleanor of Castile, first wife of Edward I, King of England. The county of Ponthieu and the disputed territory of the Vexin eventually passed to Eleanor as part of her dowry.